Our stock range is 100% CERTIFIED! 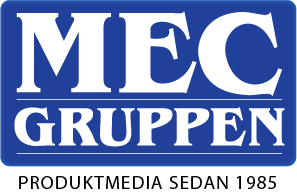 Our articles are in compliance with the European Laws and Regulations. Product certification is increasingly important within the promotional gifts industry. While most of the suppliers have just begun certifying, our department of Laws and Regulations is having our articles tested on a daily basis, to make sure we can deliver the requested certificates. Certification shows that the product officially complies with European guidelines and regulations concerning safety and environment. These certificates are a priority for us, because it is very important for you to be able to work with products that comply with the European directives. Your clients will increasingly ask about them, because European laws require that promotional gifts have such certificates. At Giving Europe we foresaw that laws and regulations would become increasingly stringent. Even before other parties, we started taking measures in order to be able to provide our products with the necessary certificates. With no intention to brag we may say, though, that because of our proactive attitude we are ahead of our colleagues. With almost all the items of the Giving Europe assortment you can assure your clients they are safe. An extra sales argument for you. For your clients another reason to choose for Giving Europe’s products. Clients choose certainty. A mistake, or even a recall as a consequence of a poor product, is the nightmare of any client who is proud of their image and built brand awareness. We take care. We are sure to verify that products meet the strict European standards before we distribute them to our customers. This monitoring is an ongoing process, also because we innovate and source new products. Independent authorities and our own department of Legislation and Regulations check and test our products continuously on every category necessary to obtain a certificate for a product; every type of product has specific criteria which it must meet. This requires an investment of time and money. We are not saving on this, on the contrary, right now it is one of our priorities. Van der Velde also explains that virtually the entire range of products at Giving Europe is certified according to official and necessary EU specifications. “This certification is a great reassurance to distributors, as it enables them to present the official certificate to their customers along with the product if desired. Stef van der Velde: “As part of our efforts to prioritise CSR, Giving Europe complies with the relevant ISO standard (26000:2010) and BSCI, which defines social responsibility for organisations and enterprises. This is a continuous, proactive process. We record our operations – there are new activities all the time and we adjust existing processes as required. ISO 26000 is a complete ‘story’ in that it covers all the various (social) issues. Giving Europe has been a member of BSCI since 2015. An international network organisation (1.800 members in 30 countries) with focus on labour conditions in producing countries, members share information in the field of social compliance and social responsibility. This information consists of audits which are performed and shared by the members. The organisation is quite well-known by end-clients. The BSCI membership emphasizes that doing business with Giving Europe guarantees honest purchased and delivered products, produced in humane circumstances. 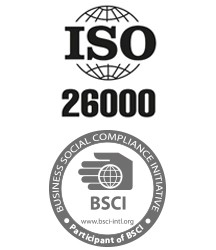 Being committed to ISO26000 and BSCI means doing internal and external audits on a regular basis to maintain a certain level of control and safety.